Bring out the very best in your school. Save time and money with our free Resene School Services. 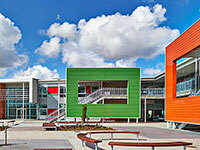 Download the Resene School Services brochure. We make painting and decorating projects easier for you. 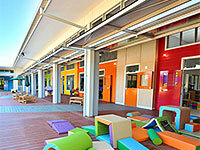 School life is busy enough creating the best learning environments, let alone managing a painting project. 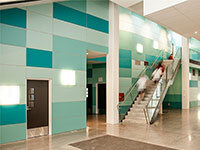 Not only can we help you to protect your building assets, but we can also help you create a vibrant school environment. Resene School Services are designed to help you manage your school painting and decorating projects, and save you time and money, while minimising disruption to your school. Our services are free, so you can use us as much as you need, without worrying about the cost. 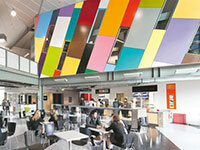 We have assisted thousands of schools with their painting and decorating projects. Let us help you with yours. Why do so many schools choose to use Resene? √ Full support available at all stages of the project. We are the leaders in providing professional advice, high quality products and superb colours - three vital ingredients in any successful coating project. 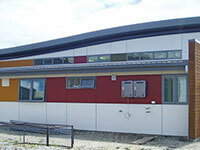 Whether your project is large or small, we can help you and your school team with your painting and decorating projects. It's your choice how much assistance you would like us to provide. To get started on your next painting and decorating project, contact us today at schoolservices@resene.co.nz or contact your local Resene representative. Resene School Services are designed to help you get the best result on your painting and decorating projects, with help available every step of the way, from choosing the colours and products, through to making sure they look good once they have been applied. √ Expert service and advice, whenever you need it. √ No matter how big or small your project is, we can help you choose the right products and colours and provide a product and colour specification so that you know exactly what you need from the prep to the product, colour and maintenance. √ Help you run tenders to choose local professionals (painters etc) to work with if required. √ We have a full range of quality products for all your interior and exterior projects. √ Enjoy consistent and quality paint for all projects that you can choose with confidence knowing your school will enjoy a quality finish. √ We can keep records of your paint and colour choices so you can avoid mismatched paints and colours, or one building looking out of place among the rest. √ Complete backup service available to assist you at any stage. 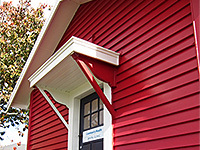 √ Your Resene paint system is designed to last and will keep looking good. √ Easy to follow maintenance instructions so you know how to keep the paint looking its best for longer. √ New Zealand made, since we started in 1946. 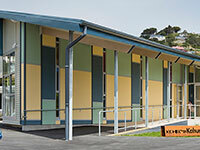 √ With convenient Resene ColorShops all over New Zealand, you can come in and see our team or we can come to you. √ We can schedule our services to suit you. Want to paint or decorate over the holidays? We can organise everything in advance so you are ready to go when the holidays start. √ Resene colour consultants can visit you at school and provide colour scheme recommendations, or you can visit at a Resene ColorShop. √ Resene technical representatives can visit you at school and provide paint specifications and on the job progress checks. 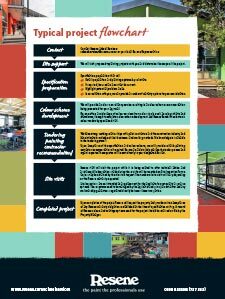 We can keep an eye on the project to make sure it is progressing well, so you don't have to. √ Choose from our extensive Resene Total Colour System of thousands of colours organised into handy colour charts or we can create a colour match for you. 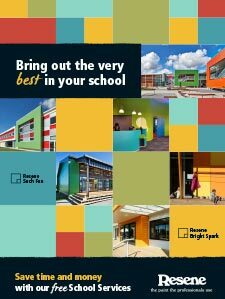 √ Can't find the details for your existing school paint colours or want to use your uniform colours for your school buildings? Easy - we can create a colour match for you and record the details so they can be easily found in future. 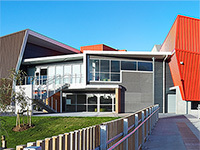 √ See the finish before you start on large projects with Resene RenderRite - we can colour a photo of the school in your new colour scheme so you can check everyone is happy before the painting even starts. √ The most extensive range of Environmental Choice approved products. √ Low and VOC free paints so rooms can be painted and occupied next day. √ Once the painting is done, we can recycle all paint cans and unwanted paints through the Resene PaintWise programme for you. No more storing paint and containers that you can't use. It's all part of the service. Best of all, when you're specifying and using Resene paints, we can provide all this help to you - for free! Discounts are available on a wide range of Resene products being used for school projects and school activities - just ask at your local Resene owned ColorShop (NZ) for more details.